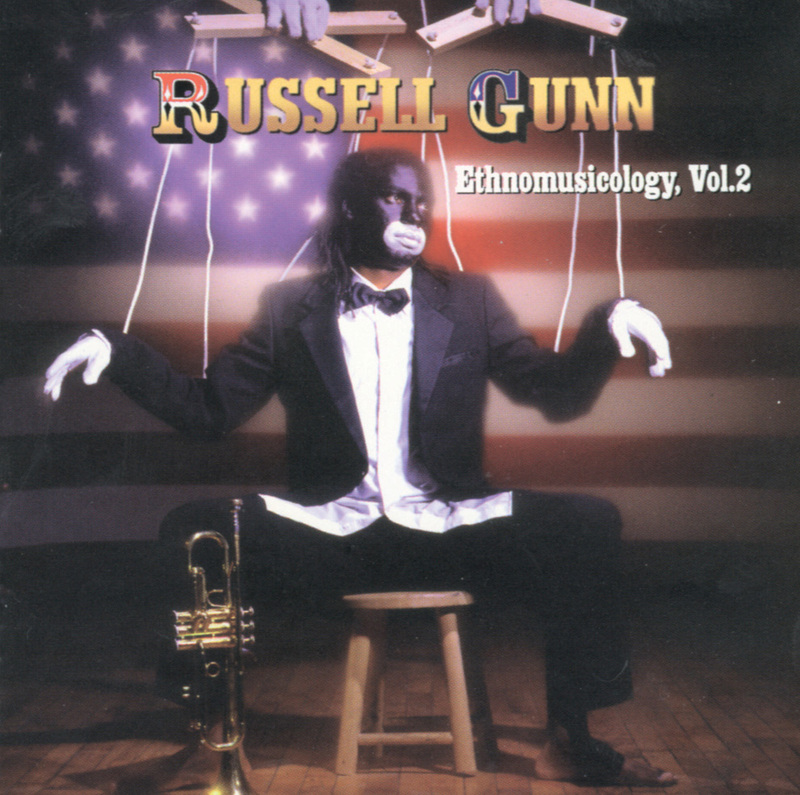 Trumpeter Russell Gunn moves to the Canadian indie label Justin Time for the second installment of his Ethnomusicology project, a hybrid of jazz and hip-hop. Like volume one (from 1999), volume two is hobbled by a certain conceptual stiffness and never quite hits its mark. Ultimately, volume one has more to recommend it. There's a paucity of original material this time around; too much time is spent on halfhearted funk arrangements of jazz classics: Monk's "Epistrophy" and Ellington's "It Don't Mean a Thing" and "Caravan." Gunn also reworks the Mike Flowers urban contemporary ballad "I Wish" and Lalo Schifrin's "Anita." (The latter is retitled "Del Rio"; it reappears as a hidden track well after the disc has played out.) There are only two full-length Gunn compositions: the mellow Brazilian-tinged minor blues "Dance of the Concubine" and the smooth jazzy "Lyne's Joint." Stellar playing is heard, however, not only from Gunn himself, but also tenor saxophonist Kebbi Williams, trombonist Andre Heyward, and pianist Marc Cary, who doubles capably on Fender Rhodes. Bassist Lonnie Plaxico and drummer Woody Williams lay down the rhythm, which is well-recorded and huge-sounding. In support roles are guitarist Carl Burnett and turntablist D.J. Apollo, with Sherman Irby making a particularly effective guest appearance on flute. Track number six, at one minute and 15 seconds in length, finds Kebbi Williams blowing over a furious drum'n'bass groove. Titled "Kebbi Williams Interlude," it seems intended as a brief bonus and not much more. Oddly, it's the best thing on the record by far, a clear indication of what this band can do when they let their hair down. Why there isn't more music like this on the album is a mystery.